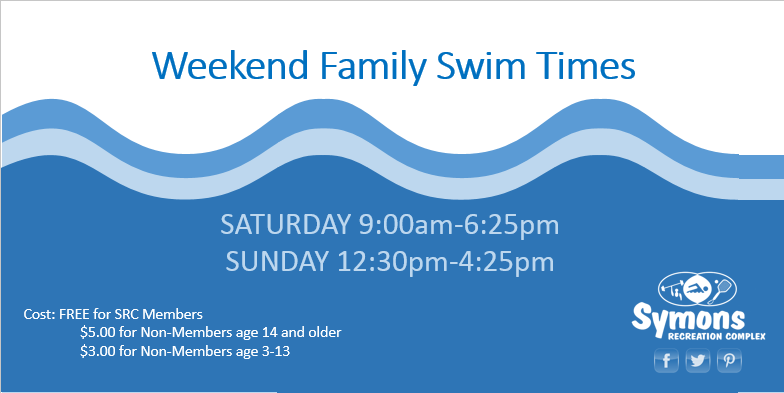 Join us this weekend for fun in the pool! Swimming is FREE for SRC members. $5.00 for ages 14 and older.